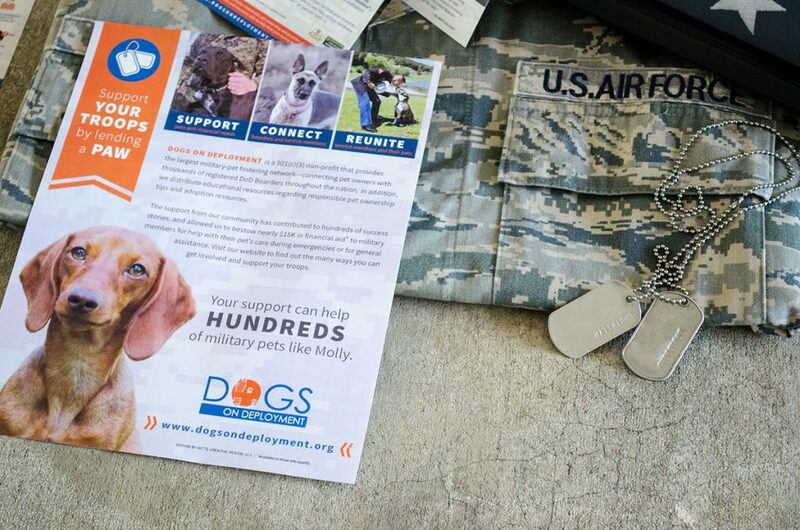 Whether due to deploy­ment, a sta­tion change, or tem­po­rary assign­ments, our mil­i­tary mem­bers’ pets risk aban­don­ment. 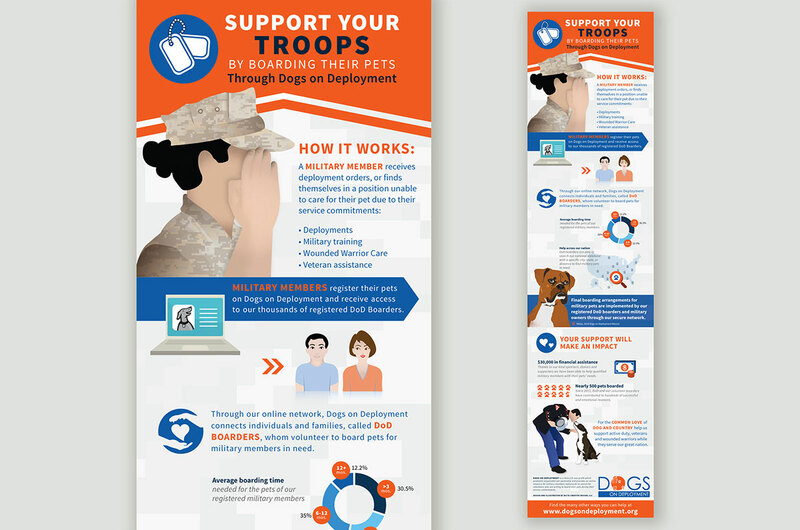 To help ser­vice men and women decrease ani­mal sur­ren­der, Dogs on Deploy­ment (DoD), a nation­al 501©(3) non-prof­it orga­ni­za­tion, pro­vides an online net­work where mil­i­tary mem­bers can find vol­un­teers will­ing to tem­porar­i­ly board their pets. 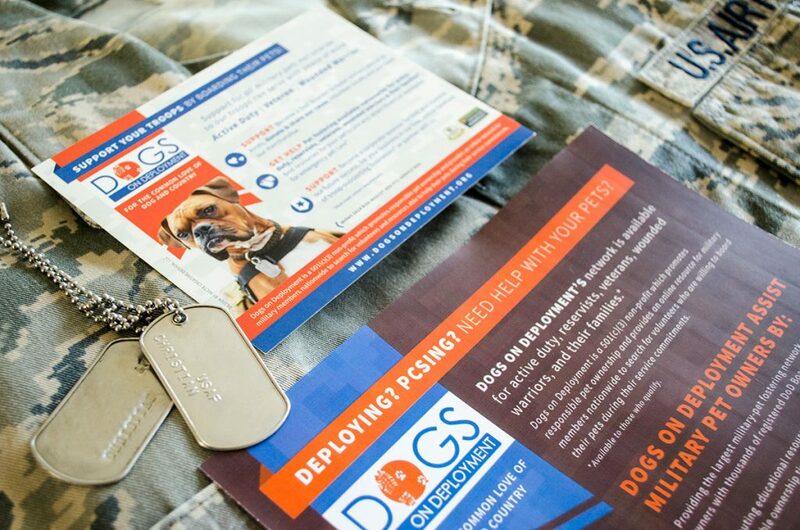 DoD has cap­tured many hearts and minds through their com­pelling sto­ries of com­pas­sion that give mil­i­tary pets a voice. 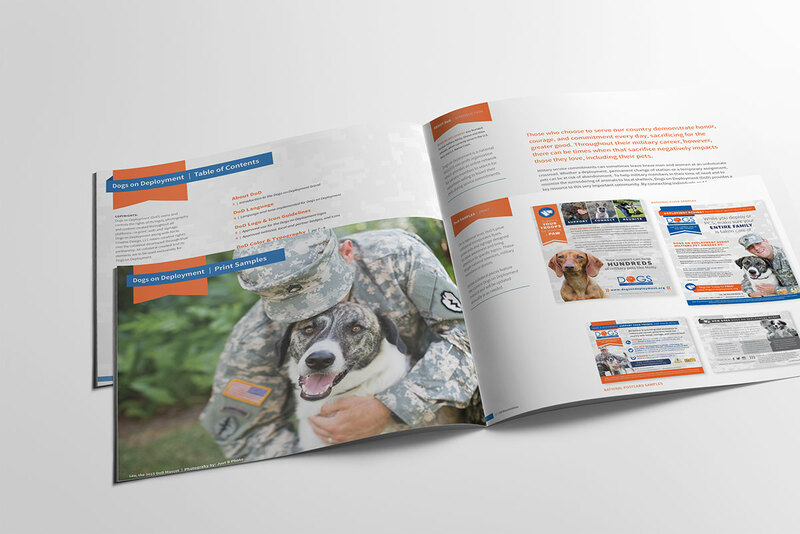 Our goal was to devel­op a com­plete rebrand over­haul that reflect­ed not only their mil­i­tary roots, but the heart and mis­sion. 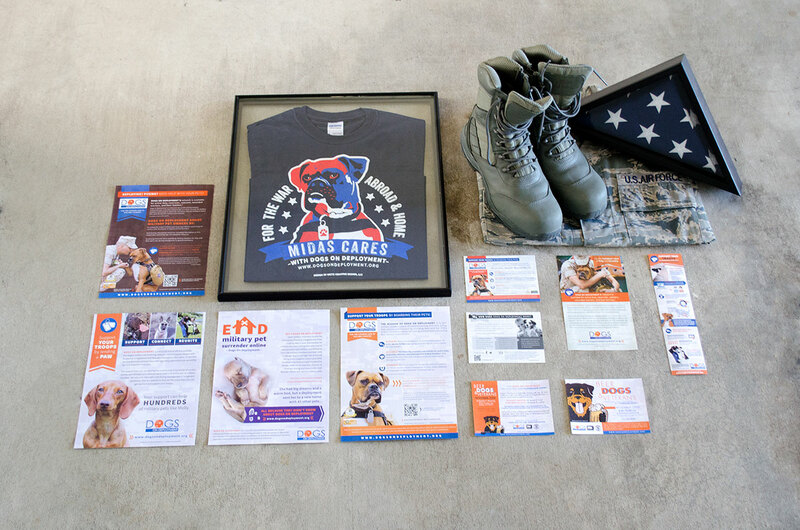 With design inspired by mil­i­tary insignia, we devel­oped a cohe­sive brand that became high­ly rec­og­niz­able and rep­utable. 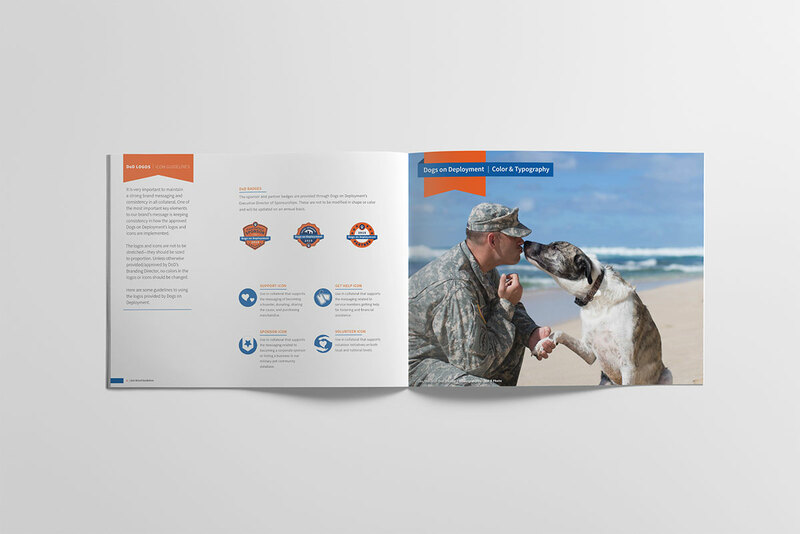 Since our rebrand, DoD has cap­tured the atten­tion of large nation­al brands. 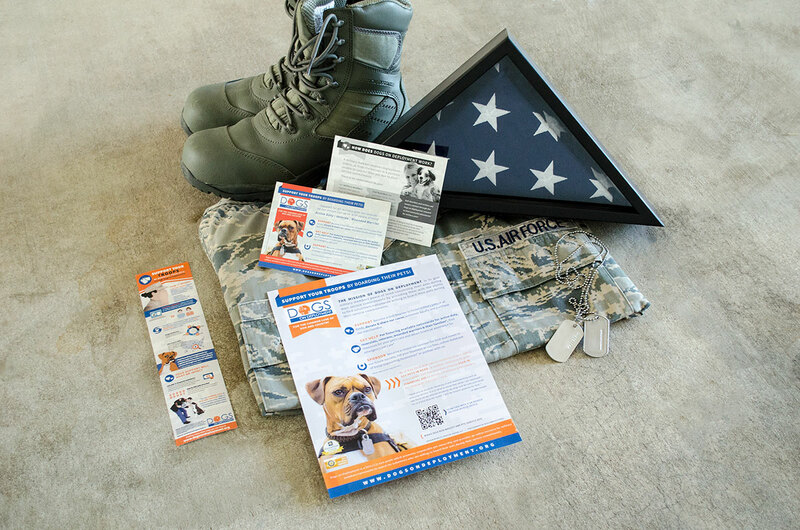 And devel­oped pow­er­ful part­ner­ships with orga­ni­za­tions like Puri­na and Pets Best Pet Insur­ance, along many oth­ers. 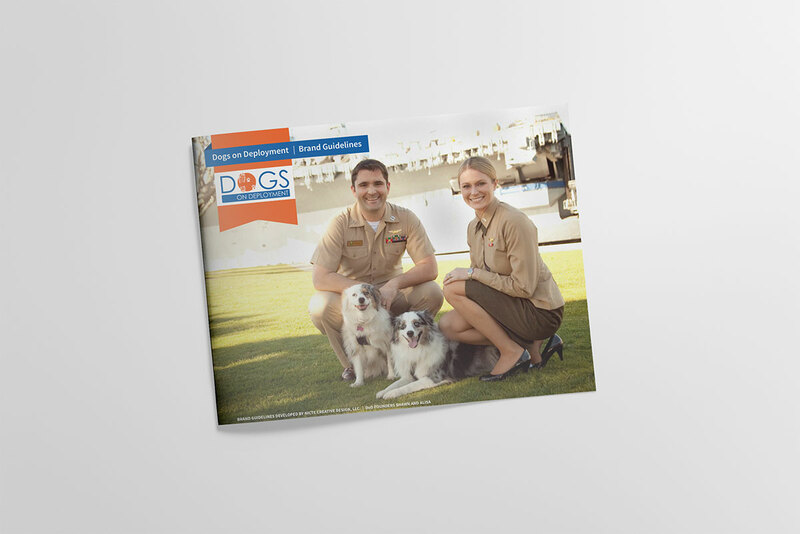 The good works of the DoD brand has result­ed in hun­dreds of pet reunions. More impor­tant­ly, its pro­vid­ed thou­sands in finan­cial assis­tance! 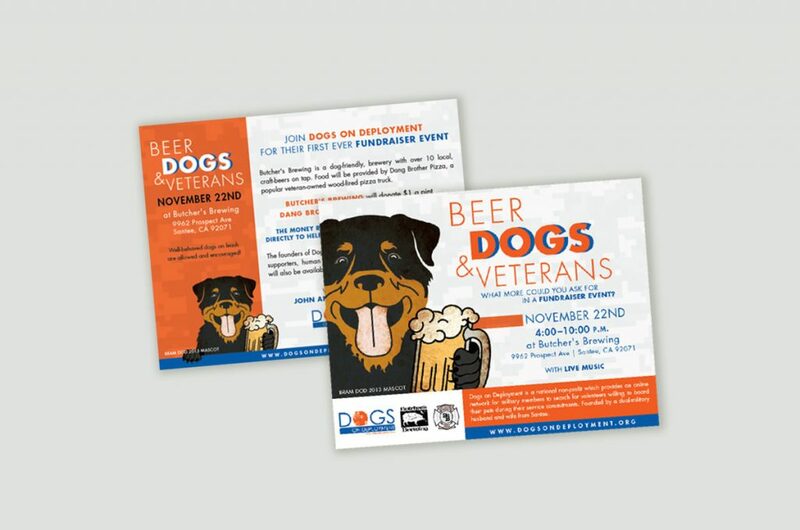 PROJECT COMPONENTS: Badge and icons design, pack­ag­ing design, info­graph­ics, fly­ers, mail­ers, illus­tra­tions, t-shirt designs, sig­nage, tem­plate designs, and brand guide­lines. 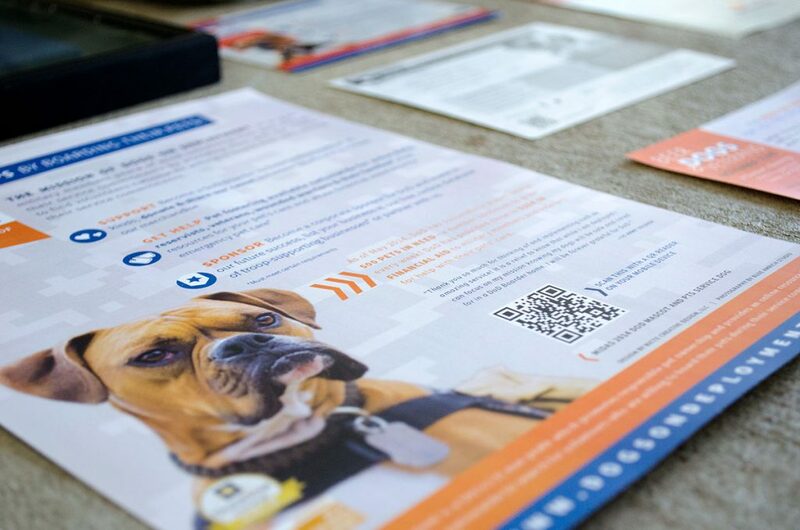 This project was award­ed a Plat­inum award from Mar­Com Awards, an Amer­i­can Graph­ic Design Award from GDUSA and a Com­mu­ni­tas Award.